Join Playfit and Nailed It Nite for another fun and interactive kids’ DIY project! CHECK OUT all the great things NAILED IT NITE does! This event WILL NOT disappoint! Mother's Day is just around the corner, and what better way to say I Love You to Mommy (or aunt, or grandma....), than with a handmade photo display! Check out this PINSPIRATION for the event! Minimum age is 3 years old. Parents are required to stay (regardless of child’s age). Children aged 3-5 will require more parental help. Due to the nature of this workshop, there will be no refunds after registration. If the event is cancelled by the Creative Director or Playfit, full refunds will be processed. REGISTRATION CLOSES APRIL 21, 5pm. Complete this form below to get started! Please note, you are NOT registered until you have connected with a Playfit representative and have PAID. Payment can be made with a credit card over the phone (sorry, no Visa debit over the phone), or cash/debit/credit in person. Registration closes APRIL 21. Yes, I want to get the monthly newsletter! No, I do not want to get the monthly newsletter. This event is for children 3 years+. Parents are required to stay. Children 3-5 years will require parental assistance. Changes can be made up until Sun, Apr 21, 5pm. After that, changing phrases will not be possible. If you are registering more than one child, all children will have the SAME PHRASE chosen here, unless noted otherwise in the "More Info" section below. I agree that Nailed It Nite may use the above named attendee’s photograph in the routine promotion of its classes and activities and other commercial applications. In consideration of being allowed to participate in a Nailed It Nite party and/or workshop, I, on his or her own behalf and on behalf of the minor identified below, acknowledges, appreciates and agrees that: 1. Tools and products that the minor will use can be hazardous and dangerous. These activities require various degrees of skills and expertise. I understand that these activities can result in serious injury to the person or child. I assume all risk and damage or injury to the minor while participating in a Nailed It Nite party and/or workshop. 2. 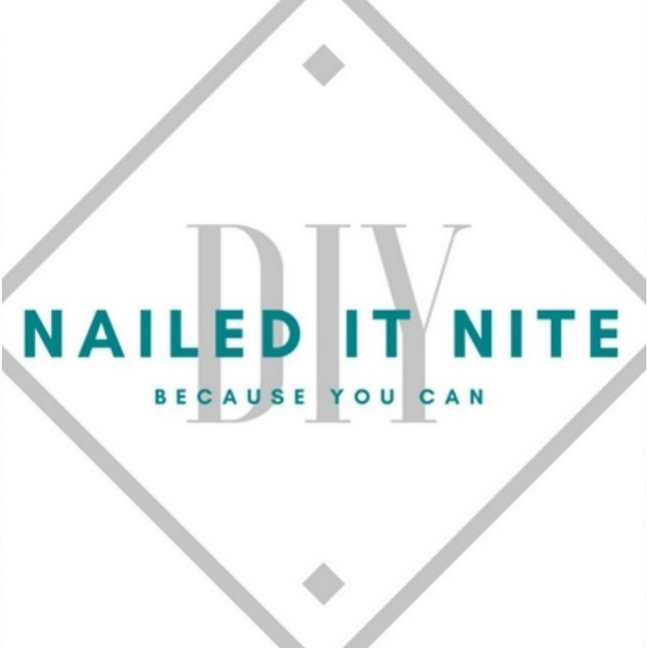 I am aware of the risk, hazards and danger of personal injury, disability and/or death as a result of participation in a Nailed It Nite party and/or workshop, including those that may arise out of negligence of other participants. 3. I understand that it is my responsibility to ask questions and ensure that I/my child follow instructions as they are given by a Nailed It Nite instructor/creative director. I understand that my child is required to follow all instructions. I understand that failure to follow instructions as they are given can result in my child being asked to leave the Nailed It Nite party and/or workshop. I understand that if my child is asked to leave a Nailed It Nite party and/or workshop my money will not be reimbursed. 4. I certify that I and/or my child are in good health and that I and or my child have no physical limitations which would preclude safe participation at a Nailed It Nite party and/or workshop. 5. Pictures of your child may be taken during a Nailed It Nite party and/or workshop. By signing this waiver, you are releasing these images for marketing purposes. 6. In consideration for participation in a Nailed It Nite party and/or workshop, I hereby release, waive and forever discharge and covenant not to sue Nailed It Nite and its owners, employees, officers, directors and all other persons or entities acting on its behalf, from any and all claims, actions, damages, liability, cost or expense including attorneys fees which are related to or arise out of or in any way connected to my child’s participation in a Nailed It Nite party and/or workshop. I agree to indemnify Nailed It Nite and its owners, employees, officers, directors and all other persons or entities acting on its behalf for any claims arising out of my or my child’s participation in a Nailed It Nite party and/or workshop. 7. By the execution of this agreement, it is my intention to assume all risk of injury and do hereby surrender and waive any rights to sue or exercise any legal right to seek damages against Nailed It Nite and it’s owners, agents, employees, officers, and/or all other persons or entities acting on its behalf. 8. I acknowledge that my or my child’s participation in activities with Nailed It Nite is strictly voluntary. I hereby certify that I am over 18 years of age, I have carefully read the foregoing covenant not to sue and acknowledge that I understand and agree to all of the above terms and conditions. Prior to signing this agreement, I have had an opportunity to ask any and all questions. I am aware that by signing this agreement, I assume all risks and waive and release all substantial rights that I may have and possess. 9. To the extent that any one or more provision of this agreement is found to be unenforceable, all other provisions of this agreement not found to be unenforceable will remain in full force and effect. Anything we need to know? If you are registering more than one child, all children will have the SAME PHRASE chosen here, unless noted otherwise here. Thank you! We are so excited for our Children's DIY Workshop and look forward to seeing you there! Remember to call Playfit or come on in to provide payment and secure your spot. *Please note there will be no refunds after registration for missed classes. If the event is cancelled by the Creative Director or Playfit, full refunds will be processed.